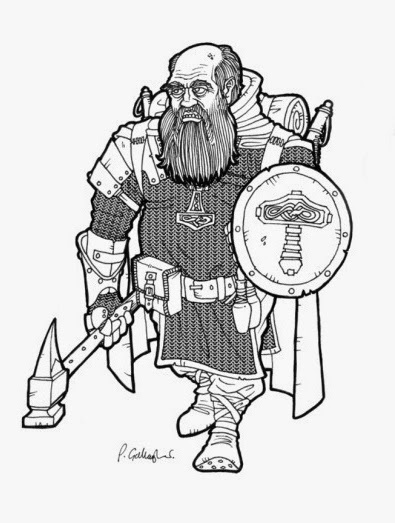 A captain in the army of the dwarven city of Kerak-Runn, Broak was a well respected leader among his brothers-in-arms. Broak led a small patrol deep under the Orespire Mountains, hoping to find a nest of troglodytes that had been raiding mining encampments in the area. What Broak and the other dwrves did not know, that the trogs were the thralls of a powerful beholder deep in the bowels of the mountains. When his war party discovered an ancient subterranean city where the troglodytes were encamped, they launched an attack that quickly destroyed the stinking creatures. When the dust had settled, the beholder Arammorkul made his presence known and attacked the dwarves with a terrible ferocity. During the battle, Broak was rendered paralyzed by the beholder's magic, and lay on the ground helpless as he watched his allies being torn limb from limb, obliterated by magic, and their bodies dashed across the great stone walls of the city. When Broak shook the spell's effects off, there were just a handful of dwarven soldiers left, but he bravely charged at Arammorkul as he watched the last of his allies fall, leaving only him and his lover, Dain Balderk—who had just joined the military days earlier—left alive. Moments later Broak was charmed by the magic of one of the beholder's eyes, and he was forced to turn on Dain. Broak slammed his warhammer down on Dain, knocking him to the ground. As Dain was stunned, Broak stood over him and let his hammer fall, crushing Dain's head. When the charm had dissipated, Broak found himself standing over Dain's lifeless form, holding the hammer covered in his lover's blood. The beholder simply floated away, leaving Broak to his misery and shame. 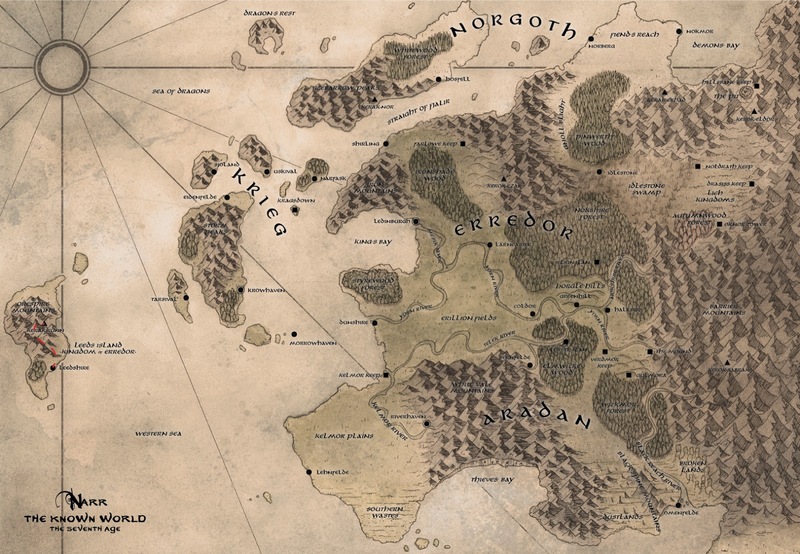 When Broak eventually made his way back to Kerak-Runn weeks later, he was a broken, shell of a dwarf. He took drinking and fighting amongst the other dwarves in his company, and was quickly relieved of duty. Withdrawing further from society he began drinking even more and became a public nuisance. He was eventually exiled from Kerak-Runn in shame, and left his mountain home for the first time. He eventually made his way to Leedshire where he began to clean himself up, and hire himself out as a mercenary and guard for local nobles and guilders.